I love this top that I purchased from Anthropologie a couple months ago. 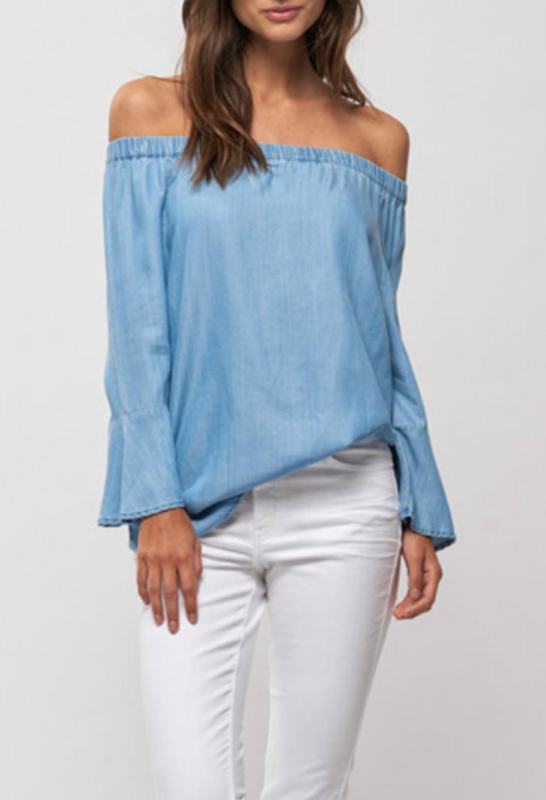 It’s got two trends going on with it having bell-sleeves and being shoulderless so whenever I wear it, I try to pair with simple bottoms. This time, I wore it with a pair of white shorts which I purchased from Ann Taylor awhile back, but they have similar ones at JCrew which I linked below. I linked some similar options to the top because I think they sold out of the blue on their website. I also have worn this top with black leggings. I normally don’t like mixing blue and black, but this is such a bright blue, I decided to go for it. Today, I am flying to Rio De Janeiro to visit boyfriend Matt. Rio is a BEAUTIFUL city and I’m hoping to take some pics while I’m there to share on the blog, in addition to sharing a list of some of our favorite places that we frequent in Rio. Stay tuned!